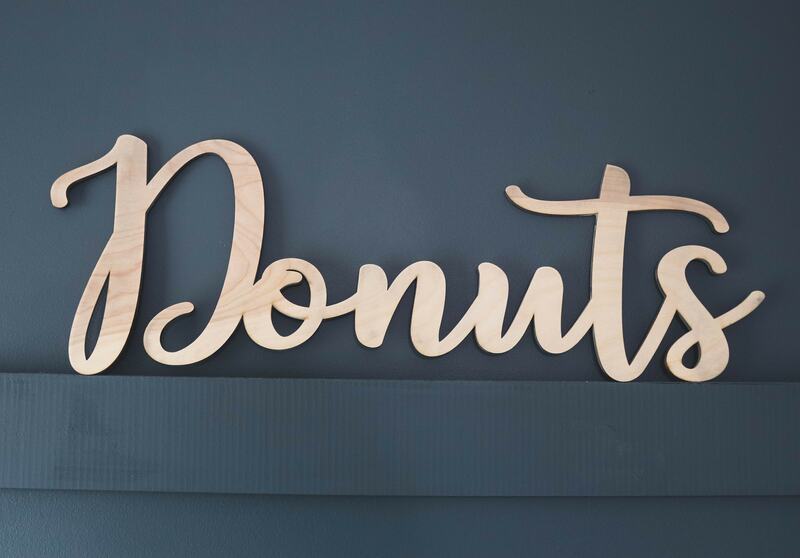 Donuts Wood sign for Donut Doughnuts Bar Weddings. 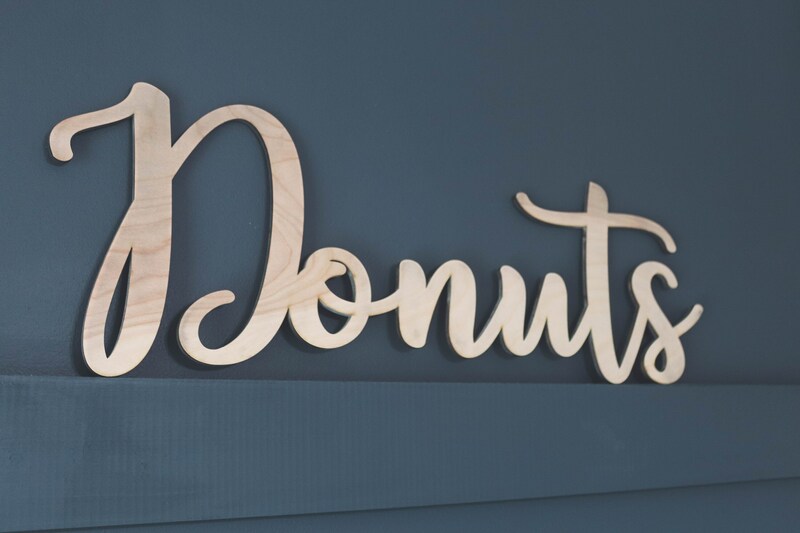 This listing is for a wood Donuts sign 1/4" thick. Perfect wedding gift, nursery or home decor! Sign pictured is 24" long x 8" tall". Does not include any hardware. Please be aware that wood has natural wood grain variations and may have knots. These are all natural characteristics and what make them unique and beautiful. *If you choose to have you sign painted, it will be painted on the front side only.